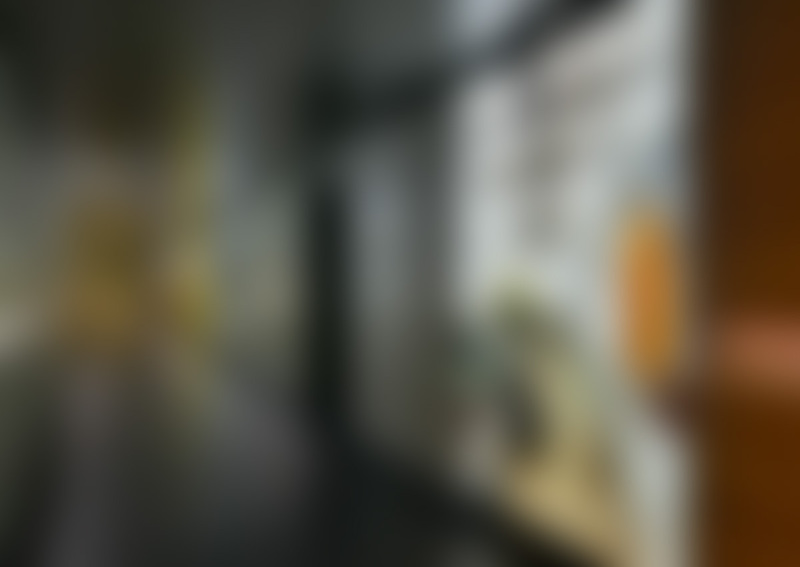 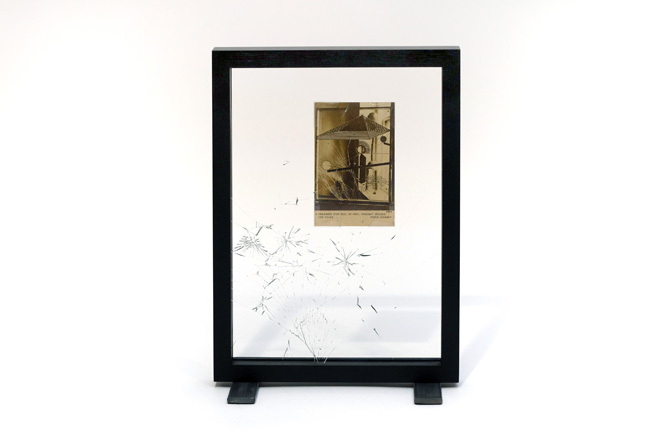 To mimic the original display of the 1918 Marcel Duchamp piece, ‘A regarder d’un œil, de près, pendant presque une heure’, we intentionally cracked a piece of laminated museum glass to create the effect of broken glass. 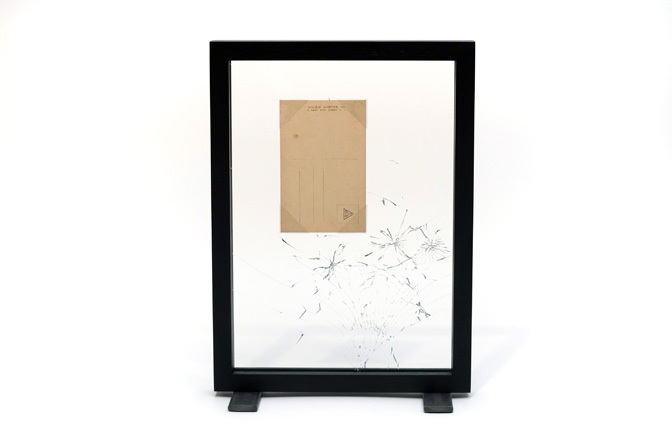 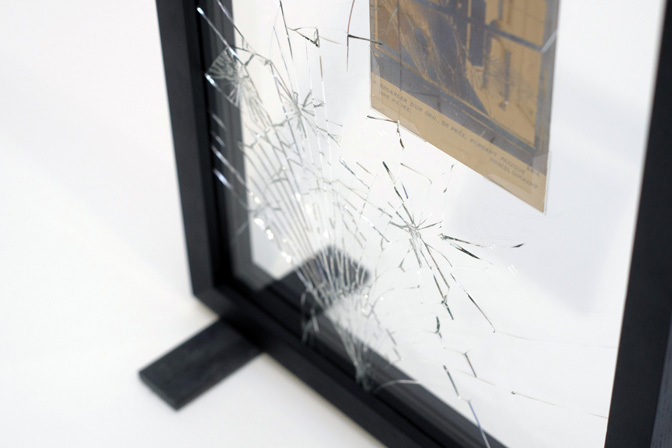 The artwork, which is a postcard of the original piece, published by Duchamp, is mounted on a separate sheet of Artglass, the unbroken side of the laminated glass faces out so that the piece can be cleaned. 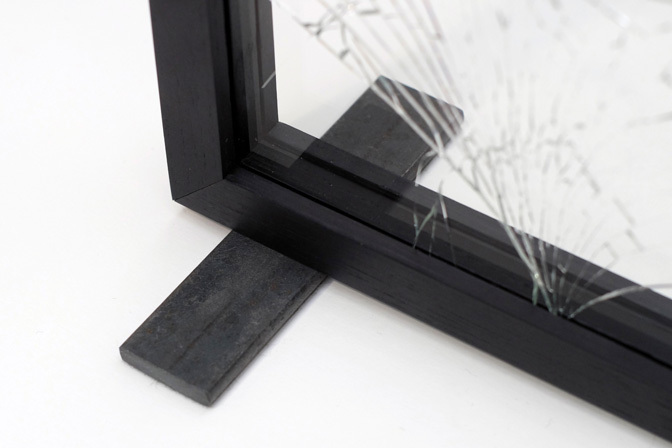 The piece is housed in a double sided oak frame with a black stain, with supports constructed from untreated mild steel.